The liberal media is hoping that we’ve forgotten all popular former Alabama Judge Roy Moore, who was taken down by sexual assault allegations from decades prior in his 2017 Senate race against Democrat Doug Jones in what appeared to be a carefully coordinated attack. Neither has Moore forgotten what was done to him, and has been working tirelessly to clear his good name ever since. Just as it has recently come to light that a wealthy Democrat donor’s tech company conducted a systematic attack on Moore via fraudulent Facebook pages trying to discourage Republicans from voting for Moore, and fake “Russian bot” accounts designed to give the impression that Moore was being supported by the Russian government, the results of a polygraph Moore underwent have also been released. And guess what? He passed with flying colors. Meanwhile, as a statement from Moore’s defense team sent to us by his wife, Kayla, reads, his accusers still refuse to answer key questions about the alleged assaults as Judge Moore remains the only one who has sworn under oath multiple times that the allegations are false. “To this day no one but Judge Moore has sworn under oath multiple times as to the false allegations,” the statement reads. Included were the results of the polygraph, which indicate Moore told the truth. The polygraph results, which you can view here, include questions about the accusers, Leigh Corfman, Beverly Young Nelson, and Tina Johnson. 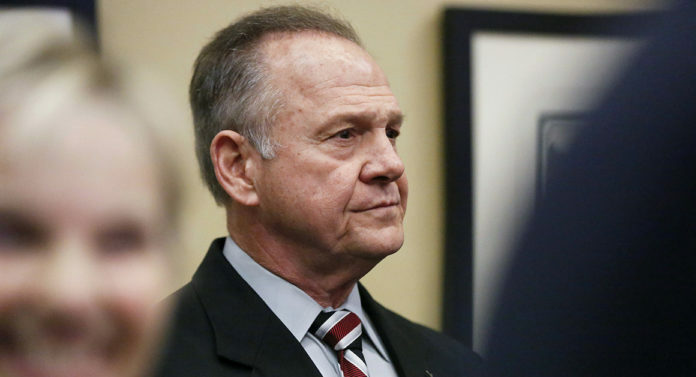 Moore, who still denies knowing any of these women, answered “no” to a variety of explicit questions as to whether or not he engaged in sexual contact with or touched the women named.